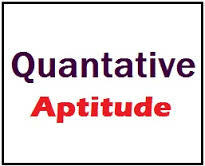 Dear Bank Aspirants practice Quant Questions for upcoming LIC Exam, Railway and other exams. Try to solve these Mixed Questions and share time taken to solve these Mixed Questions and your attempt. Practice Quant Questions for Bank , Railway and LIC Exam. 2. 24.5 × 45.4 × 2.5 = ? 4. 416 × 18 − 2288 = ? 5. 54% of 675 = ? 6. 888.88 + 684.48 + 726.66 = ? 7. 3960 ÷ (48 × 2.5) = ?